The digital, culture, media and sports select committee’s recent interim report on disinformation and ‘fake news’ should neither shock nor surprise us. For those of you who missed this very important publication, it defines ‘fake news’ as the intentional dissemination of disinformation in order to manipulate attitudes and behaviours. It also points to the very dodgy propagation of this ‘fake news’ by social media platforms at the behest of even dodgier businesspeople in cahoots with foreign ‘powers’. With the help of some clever data analysts, they target this disinformation to groups of people susceptible to their messaging. The spread of propaganda has been going on for generations, driven by people with power seeking to further their own agenda whether political, economical or ideological. But the use of social media platforms to do this is relatively new, if not entirely predictable with the creation of the worldwide web less than 20 years ago. When they had the chance, the government bottled it and refused to hold the Leveson 2 inquiry as initially promised, which was meant to look at the rise of ‘fake news’ and social media’s role in this as well as who and what drove the press phone-hacking scandal. 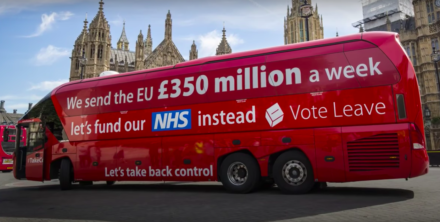 In addition to this, and the implementation of Lord Leveson’s recommendations from the first inquiry for an independent press regulator, we also need to see much stronger advertising standards for political parties. We need a programme not just for our children, but for the public at large so we are all able to judge for ourselves the quality and reliability of anything we read, from newspaper articles and ‘think tank’ reports to social media ads. This includes politicians and their advisors! I have long argued that we need be better able to critically analyse data, evidence and information that hits our desks or inboxes. Too often reports are presented as fact and they are not. It is the select committee’s evidence of interference of a foreign power in the democratic elections of sovereign states that should shock us. The implications for democracy are clear. The ease in which disinformation can invade a living room with the help of social media companies is a worry, but that this may have been driven by a foreign power such as Russia, with current impunity, is scandalous. This needs urgent international co-operation to investigate and address. The FBI in the USA are already investigating the potential impact of Russian interference in the 2016 Presidential elections. The government should be doing the same regarding interference in the EU referendum, and should get on with implementing the second Leveson inquiry immediately. But ‘fake news’ can only take hold where there is fertile ground, where its messages resonate with the concerns of its target group. Too often ‘fake news’ also points a finger at who’s to blame for their fears and other woes. Where there’s no other viewpoint or action to counter it, it flourishes and takes hold. I will never forget the appalling ‘fear and blame’ campaign directed at migrants by certain sections of the mainstream media in the run up to the EU referendum, including between 1st January and 23rd June 2016, two national tabloids having 34 front page headlines that spewed vitriol about migrants. This doesn’t mean politicians should just ramp up the rationale arguments, for example, on the positive economic benefits of immigration. We also need to better understand the communities we serve, how people feel and why. And for that we need to talk to our constituents, listening and learning from them. Danny Dorling’s continuing analysis on the impact of inequalities on left behind communities on the EU referendum result (and I would also suggest on the outcome of the 2016 USA Presidential elections) is worth noting. The relationship of widening inequalities in income, wealth and power, global 24/7 broadcast and social media, and the rise of right-wing as well as fundamentalist ideologies across the world cannot be underestimated. In addition to addressing income and wealth inequalities, we need to be empowering people, enabling them to have more influence and control over their lives. This needs political will, of which unfortunately I see little – if any – evidence. Debbie Abrahams is MP for Oldham East and Saddleworth.